Mayan Princess takes players into the ancient world of Mayan civilization, complete with all the danger, intrigue and adventure that one would expect. 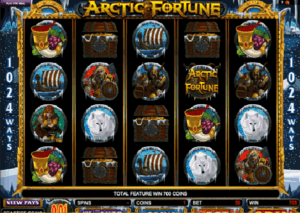 This Microgaming video slot allows you to explore great mysteries at casinos including Lucky Nugget Casino, River Belle Casino, Ruby Fortune Casino, and many others. Mayan Princess immerses you into the Mayan environment in many ways, starting with the symbols that include crocodiles, warriors, parrots, exotic masks, corn, pepper, and buxom priestesses. There’s background music, too, which utilizes drums and other organic themes to really set the tone. There’s more to the game than simple symbols and music, though, as the animations that you will encounter and experience throughout the game really make the whole thing memorable. Corn cobs shed, the sun rises on the imposing pyramid, and crocodiles flash their deadly teeth as you play the game. 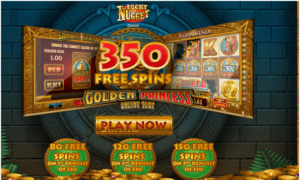 You won’t find a huge range of coin values when you play Mayan Princess, but being able to bet up to 200 coins means that you have a large betting range, nonetheless. The coin values can be set at 1 cent, 2 cents, 5 cents, 10 cents, and 20 cents. 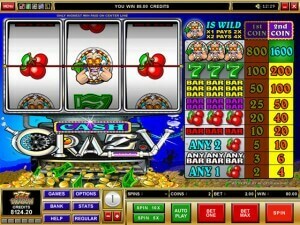 You can bet a maximum, then, of $40 per spin if you set the coin value at 20 cents and bet on each payline. 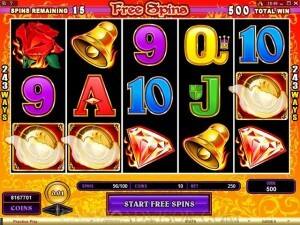 You could also play all the paylines at the minimum coin value for just 20 cents per spin. 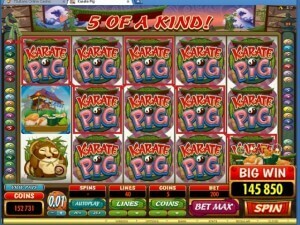 The regular jackpots start at 5,000 coins, with the second highest being set at 3,000 coins. 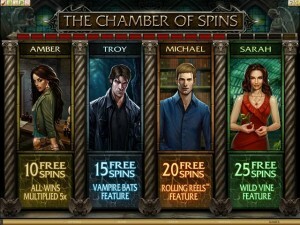 If you get the third-highest jackpot, you’ll collect 2,000 coins for a win. 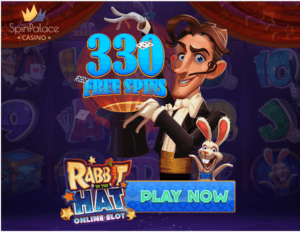 If you want a chance at the 5,000 coin regular jackpot, you will need to look for the Mayan Princess logo, which also serves as the wild symbol. 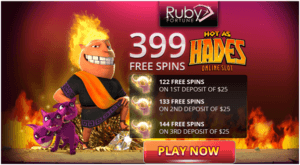 If you get five of them on any enabled payline, you will win the regular jackpot. 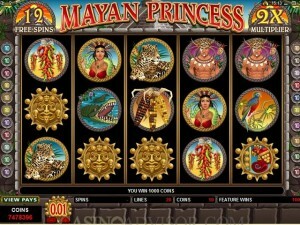 The Mayan Priestess is the key to the 3,000 coin jackpot, and you’ll need five tigers in order to win 2,000 coins. While the Mayan Princess logo is wild and substitutes for any other symbol in the game for the purpose of winning combinations, it does not multiply winnings. 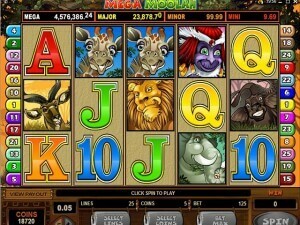 This is a bit of a disappointment, since in most video slots, wild symbols multiply earnings for a winning combination. The scatter symbol is also a little different from usual, as it can be used to trigger free spins, but does not award any coins on its own. The pyramid symbol is the scatter symbol, and it appears only on the first and last reel. 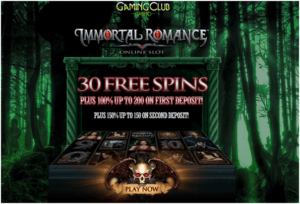 You can earn 10 or 20 free spins with the pyramid symbol, and during your free spins (which can be re-triggered), your winnings are doubled. 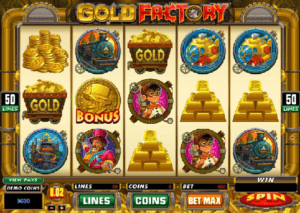 While Mayan Princess may not have all of the bells and whistles you’re used to with newer video slot games (such as bonus games), it’s still a high quality slot that has a very entertaining theme. While you’ll wish the wild symbol multiplied payouts, you could still do a lot worse than playing Mayan Princess for a little while.